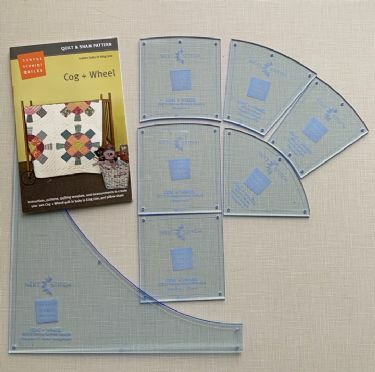 These sturdy acrylic templates are precision engineered to make your cutting super accurate and easy! Saves time (you won't need to make cardboard template pieces from the pattern) and will last through as many quilts as you care to make! 7 pieces, $45 plus shipping. In stock now! International orders may be subject to an additional shipping surcharge.